South India is known for its beautiful temples, its ancient culture and its culinary treats, not so much for temperate climates and relaxing weather. And that is what makes Coonoor all the more special. Nestled 1800 metres above sea level, in the Nilgiri mountain range, Coonoor is a haven for those looking to escape what might sometime seem like harsh weather of the South India plains. The hill station offers breath-taking views of the Nilgiris, some of the densest, greenest jungles and extremely well-maintained tea plantations India has to offer. The weather is pleasant through the year and the temperatures dip regularly to as low as 0 degrees during the winter months. There are many taxis and auto rickshaws that operate in Coonoor but the best way to explore this place is definitely on foot. The air is brisk and the climate ideal for a good walk. Virtually every walk in and around Coonoor is rewarding by itself. Some of the best and recommended sites are Sims park, which is located in a deep ravine and Lamb’s Rock (which has a beautiful view of the plains below). The Dolphin Nose Viewpoint situated 10 kilometres from Coonoor is arguably the best viewing point as you can enjoy a panoramic view of the Nilgiri Hills as well as of the imposing Catherine Falls. The best time to visit Coonoor is either during the summers (to escape the heat) or in the winters (to embrace the cold). Monsoons, though having a charm of their own, tend to be quite humid around Coonoor but can be enjoyed by students and budget travellers due to the drop in rates during what is the ‘off-season’ for tourism. Barely 50 kilometres from Coonoor is the popular hill station of Ooty, located at an imposing 2,240 metres above sea level. The Ooty weather similar to that of Coonoor, though it gets marginally colder during the winter season. Ooty is the capital of the Nilgiri district and is a tourist hotspot. There are various modes of travel available for a tourist in Ooty. However, choose to walk for anything within a 10-kilometre radius. Hill stations like these are best enjoyed on foot and at your own pace. 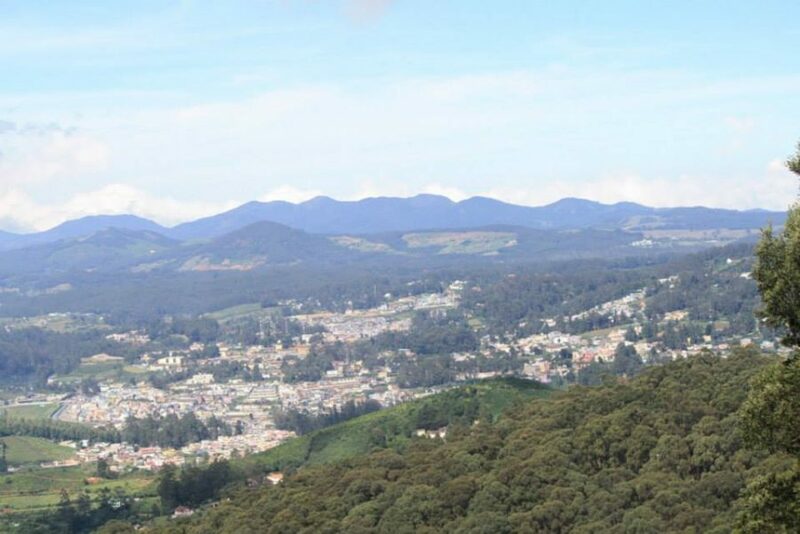 The best time to visit Ooty is the summer when the weather is pleasant and the air crisp (due to limited moisture). Ooty can be fun during the winters too although it does get quite chilly here. The rainy months are usually when the hill station sees a drop in the number of tourists. This is an ideal destination for a family vacation with the several sightseeing opportunities and fun activities a family can enjoy. Spread over 22 hectares are the Ooty Botanical Gardens, which boast of over 650 species of trees and plants. The Avalanche Biosphere Reserve is possibly the densest jungle around and can be safely traversed during the day. The Doddabetta Peak, a few kilometres from Ooty is the highest point in the district and boasts of a stunning view. The Club Mahindra resorts are among the best Ooty resorts and a holiday here is assured to be a memorable one. There are plenty of stories of perfect family vacations by tourists on the Club Mahindra reviews that talk highly of these resorts. The spacious and comfortable rooms, the in-house restaurants that serve some lip-smacking food, the several fun-filled family activities offered on the property are enough reasons for you to choose a Club Mahindra resort. A Club Mahindra membership is your ticket to the most amazing holidays at exotic destinations in India. This entry was posted in Ooty and tagged coonoor tamil nadu, coonoor travel, ooty travel. Bookmark the permalink.